Have you considered including courses on Russia and/or East Europe to your degree but the selection of courses offered by your home university doesn’t feel sufficient? Have you possibly studied the Russian language but wanted to do more than only scratch the surface of the topic? If you have pondered these questions, the Expertise in Russian and Eastern European Studies (ExpREES) coordinated by the Aleksanteri Institute might just be the right choice for you. Russia and Eastern European Master’s School organized by the network of Finnish universities is much more than a set of exams. The courses of ExpREES take place not only in Helsinki but also in partner universities all over Finland and even abroad. Moreover, variety of different web courses are available. The students have freedom and responsibility which kind of combination of the offered course they will compile. ExpREES is compatible with different disciplines and gives a great possibility to create networks with other students, experts from different fields, and representatives of private sector, in Finland and abroad. How does the ExpREES work? Compulsory part of the studies is a week-long summer school, which is traditionally organized in Orilampi, South-East of Finland. The summer school is held in Finnish, but if your command of Finnish is not sufficient, you can attend the summer schools in Kilpisjärvi or Petrozavodsk. In Orilampi study methods are various, including advance assignments, group work, lectures and evaluation of work in peer groups. Students come from different universities and represent different disciplines which makes studying versatile and multidisciplinary. In Kilpisjärvi and Petrozavodsk the summer schools have participants also from different countries, mainly from Russia and Norway. After an intensive summer school students can choose which area of expertise they will focus on. Many of the courses during the academic year are arranged in intensive, from one to two weeks long periods which gives the possibility to attend courses also outside students’ home university. 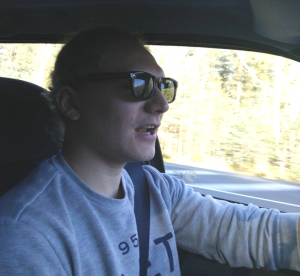 Leo Vaskelainen is a 24-year-old Russian language and culture student from the University of Jyväskylä. Besides Russian he studies education, finance and Chinese language. He would like to spend an exchange period in Beijing and as his subject of interest he names for example Russia-Asia relations. “I think that people should learn to understand that Russia does not lie only in Europe, but also in Asia and very much there”, Vaskelainen considers. When asked about the general nature of the ExpREES studies, he says that the studies will help him to develop into a diverse and wide-ranging expert of Russian language and culture. The studies give him an opportunity to immerse in the culture, history and politics of Russia. “I will most definitely benefit from the studies offered by the Aleksanteri Institute”, says the future Expert in Russia and Eastern Europe. The application to the National Russian and Eastern European Master’s School will be open next time in spring 2017. Stay tuned!